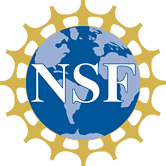 Dr. Maira Goytia, Assistant Professor of Biology, has received a 2-year grant from The National Science Foundation in the amount of $149,506 for her project entitled “Research Initiation Award: Mechanisms regulating intrinsic levels of antimicrobial resistance in planktonic cells and biofilms of commensal Neisseria”. There is an understanding that bacteria evolve in competitive environments, such as water, soil, on or inside macroorganisms such as humans. Dr. Goytia’s research will study whether bacteria commonly encountered in healthy humans express antimicrobial resistance mechanisms and whether they can be considered reservoirs of antimicrobial resistance genes for pathogens. This study will broaden the bacteriology research here at Spelman and pave the way for undergraduate independent research opportunities in the classroom, her research laboratory and other research spaces. With better understanding of antimicrobial resistance associated to sexually-transmitted bacteria, our students will be able to engage and educate the community to bring awareness to these major public health concerns.